The state anticipates opening the WCDP application process later this year. For more information, visit accd.vermont.gov/business/WCGP. 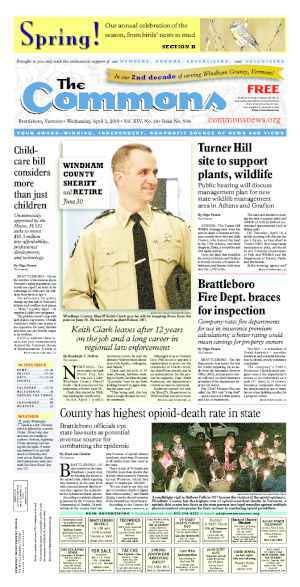 With an initial $2 million in economic development funds cooling in the state’s coffers, the process for distributing those funds in Windham County is heating up. Entergy, owner of the Vermont Yankee nuclear power plant in Vernon, is giving the state $10 million over five years to fund economic development activities in Windham County. The funds are part of an agreement the company reached with the state last winter regarding the closing of the plant. 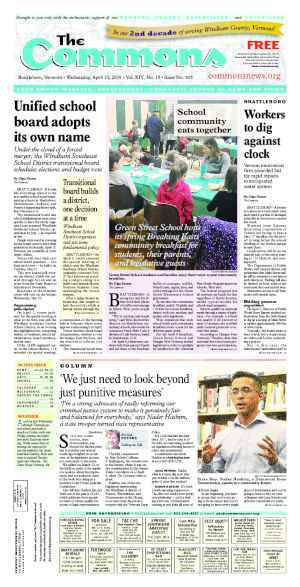 Many in Windham County, however, have met the state’s attempts to develop a grant and loan program to award the funds with concern and skepticism. Gov. 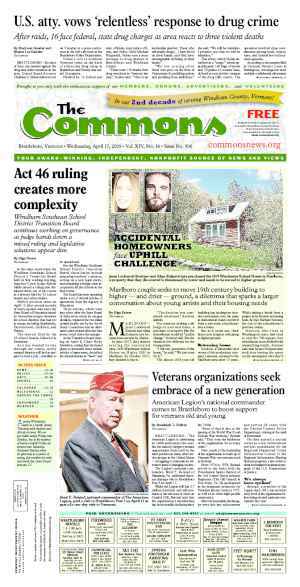 Peter Shumlin and Commerce Secretary Pat Moulton will attend a luncheon to discuss its proposed Windham County Development Program (WCDP) at American Legion Post 5 on Linden Street on July 9. The following day, members of the Agency of Commerce and Community Development (ACCD) and Vermont Economic Development Authority (VEDA) will hold a public hearing to take comment on how best to structure a revolving loan fund using a portion of the $10 million. This hearing will take place in the Brattleboro Selectboard meeting room in the Municipal Center, starting at 5:30 p.m.
• Does the community want to see a region-wide revolving loan fund? • What would it like to see for various elements of such a fund? • What sort of “loss appetite” should the ACCD or VEDA be targeting for such a fund? • Are there priority sectors or other priorities the community would want to see in such a fund? • How can this new fund complement and leverage existing community revolving loan funds? At the July 9 luncheon, hosted by the Brattleboro Area Chamber of Commerce, Moulton said she and the governor will focus on answering questions about the WCDP and dispel any rumors. Moulton, who recently took the ACCD helm after serving as executive director at the Brattleboro Development Credit Corp., will have her work cut for her. 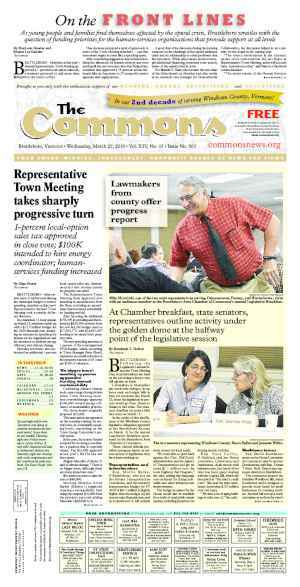 Misunderstandings and misinformation have followed the development of the WCDP, starting with an “invite-only” meeting with Windham County legislators, the Windham Regional Commission’s Executive Board members and the Windham Region CEDS Committee — held by ACCD in Townshend on May 22. At the May 22 meeting and a subsequent June 3 meeting, audience members questioned how ACCD had determined application thresholds, using some of the funds for loans, whether the funds would be distributed fairly, and whether the application panel had the business chops to award funds to viable projects. Members of the Southeastern Vermont Economic Development Strategies (SeVEDS) questioned why the organization which had spent years developing a countywide, federally-recognized economic development plan called a CEDS, did not have a bigger seat at the table. The ACCD continued, “One of the proposed threshold criteria for a project to be eligible for program funding is that the proposed project meet a stated goal or objective of the region’s CEDS. “In other words, only projects that meet a goal or objective of the CEDS will be eligible for funding. By using the SeVEDS CEDS goals as a criteria, the program will help carry out its objectives. In it’s press release announcing the resolution, SeVEDS Board Chair Jenna Pugliese said, “The board took this action on behalf of the hundreds of people in the region who have volunteered time, raised funds and solicited or provided input to carefully craft a regional economic recovery plan that responds to the economic situation in the Windham Region; on behalf of the region’s businesses and education institutions that have been making plans based on those carefully developed strategies and on behalf of the regions municipalities and voters who have voted to support development and execution of this plan." Pugliese continued saying that despite the state’s best efforts to develop a good funding program for the $10 million, it’s short development process could not match the thoughtfulness behind the CEDS. In public meetings, community members have also expressed concern that too much money has gone into SeVEDS and planning efforts like the CEDS. Those concerned said funds should now go to direct actions and projects. To add to the confusion around the WCDP, two invitations to the Governor’s luncheon next week were sent to community members. The first invitation came from the luncheon’s host, the Chamber. A second invitation from SeVEDS and the BDCC contained additional paragraphs. “There is national interest in the state of Vermont’s unprecedented foresight and resolve to both create a regional economic mitigation strategy and in then securing the resources needed to begin to invest in that regional strategy prior to the shutdown of a nuclear plant. “With SeVEDS and BDCC’s leadership a broad, collaborative effort among regional businesses, municipalities and residents has emerged with a plan that creates a new path forward for our region,” read the SeVEDS/BDCC invitation. In a separate interview, Moulton said that the WCDP will distribute the Entergy funds through a combination of grants and loans. The exact ratio of grants to loans in a given year has yet to be decided. According to information at the WCDP website, municipalities, nonprofits, and public and quasi-public organizations can apply for grants. For-profit businesses can apply for loans. According to Moulton, the state still wants to hear from the public about how to best structure the loan fund. While VEDA will manage and underwrite the loan program, the type of loans or creative financing — like straight debt or royalty-based financing — remains undecided. “All is open and all is on the table for all to consider,” said Moulton of the new WCDP program. Moulton added that Shumlin feels strongly that the $10 million should focus on projects and activities that lead to immediate job creation and replacing the approximately 650 jobs that will be lost when VY closes later this year. Shumlin, however, recognizes that the county has other economic needs and potential activities that will lead to job creation and a sustainable economy over the long-term, she said. Originally published in The Commons issue #261 (Wednesday, July 2, 2014). This story appeared on page A1.